Marica Gajic arrived to Celje in the 2011/12 season and she averaged 8.3 points and 10.3 rebounds in Slovenian League and 5.9 points and 8.2 rebounds in Adriatic League, becoming both Slovenian League and Cup Champion. Marica Gajic stayed in Celje during the 2012/13 season and she averaged 11.1 points and 10.2 rebounds per game in Slovenian League (becoming again Champion) and 15.6 points and 13.1 rebounds per game in Adriatic League. In the 2013/14 season, also with Celje, Marica Gajic continued playing at high level and she was Slovenian League top scorer and best rebounder with 15.2 points and 13.8 rebounds per game while also averaging 11.3 points and 12.4 rebounds per game in Adriatic League. In the 2014 summer, Marica Gajic was the MVP of the U20B European Championship and averaged 20.2 points and 14.4 rebounds per game, being also the best scorer and the best rebounder in the Tournament. Marica continued in Celje and in the 2014/15 season she averaged 18.7 points and 12.6 rebounds per game in Adriatic League and 14.2 points and 10.6 rebounds in Slovenian League. 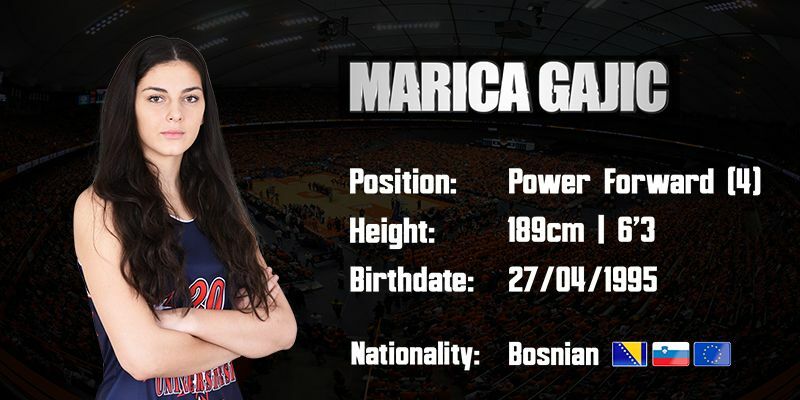 In April 2015, Marica Gajic was selected with the 32nd pick in the WNBA Draft by the Washington Mystics. During the 2015 summer, Marica Gajic won the Gold Medal in the U20B European Championship and was also named the MVP after averaging 20.1 points and 15.2 rebounds per game. Marica started the 2015/16 season in Celje and she averaged 15 points and 11.5 rebounds in League and 20.5 points and 15.3 rebounds in Adriatic League, before being sold to Yakin Dogu for the second part of the season. During thta season and with Bosnian National Team, Marica Gajic averaged 13.5 points and 13 rebounds in 26 minutes per game, shining in the Romania series with 15 points and 22 rebounds and with 23 points in 19 minutes in the return game. In the 2016/17 season, Marica Gajic was very successful in Turkish League and with Girne she averaged 13.0 points and 10.2 rebounds per game with 32% from the 3 point line, shining against Mersin (25 points 14 rebounds), Osmaniye (23 points 15 rebounds +38 efficiency), Istanbul Universiti (25 points 9 rebounds) and Adana (20 points 13 rebounds). Marica Gajic signed with Mersin in the 2017/18 season and she averaged 12.2 points, 10.5 rebounds and +14.5 efficiency in 27 minutes per game in Turkish League and 14.2 points, 12.4 rebounds and +18.5 efficiency in the Eurocup. Marica Gajic is a 1.89m Bosnian-Slovenian power forward born in 1995, 2 times U20B European Championship MVP and with experience at the highest level who was selected with the 32nd pick in the 2015 WNBA Draft by the Washington Mystics. Marica Gajic is a very talented player who is a real threat with her 3 point shooting and who also can play both with her back to the basket and facing up and penetrating. 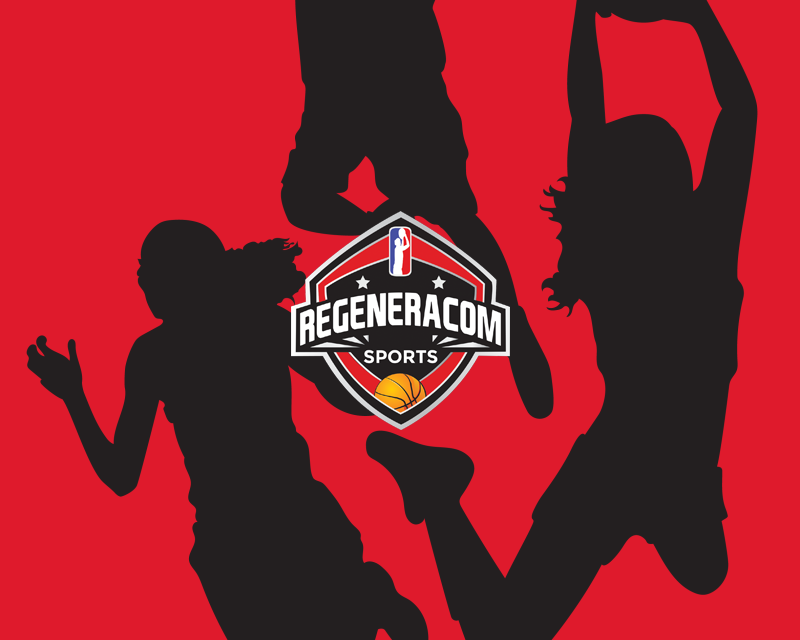 Get the latest basketball news directly into your mailbox. You have successfully signed up to Newsletter!